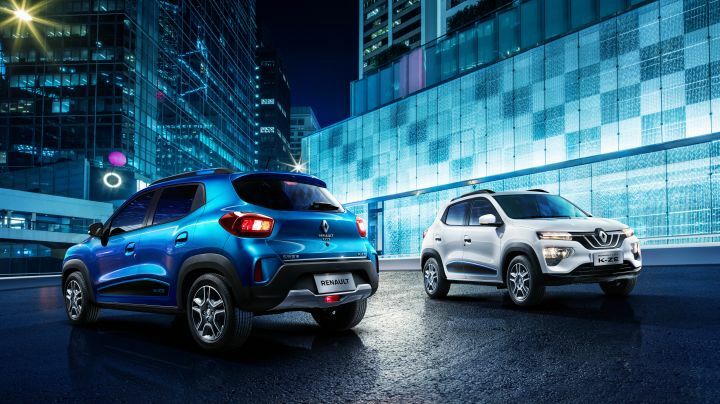 While the silhouette of the City K-ZE is the same as the Kwid, there are some design differences. The front gets a new grille along with a new headlamp setup, and the rear gets some minor tweaks as well. Its practicality though remains unhampered as it still retains the same 300-litre boot space as the India-spec Kwid. Ground clearance in the Chinese market has been dropped to 150mm, as compared to the 180mm clearance in India. Inside, the cabin remains largely similar to the Kwid with a functional setup. Key highlights include an 8-inch touchscreen infotainment system which also gets online navigation, real time monitoring for EV features, 4G WiFi and voice recognition. The drive selector though has been moved close to the handbrake, unlike the rotary dial that sits on the dash in the India-spec Kwid AMT. Furthermore, the Renault City K-ZE packs PM2.5 sensors and an air quality control system, which evaluates cabin air quality and switches between interior and exterior air circulation automatically. It also gets features like a rear camera and a tyre pressure monitoring system. Renault Kwid-Based EV To Offer 200Km Range! Share your experiences with Kwid EV?